All trip options for the VB 50th Anniversary Contingent will now travel direct between the U.S. and Cuba! 1. The Travel Challenge is evolving as developments in the political climate create new conditions for Cuba Solidarity work. Now more than ever, it is a priority that the VB brings the largest and most accessible brigade in recent history. 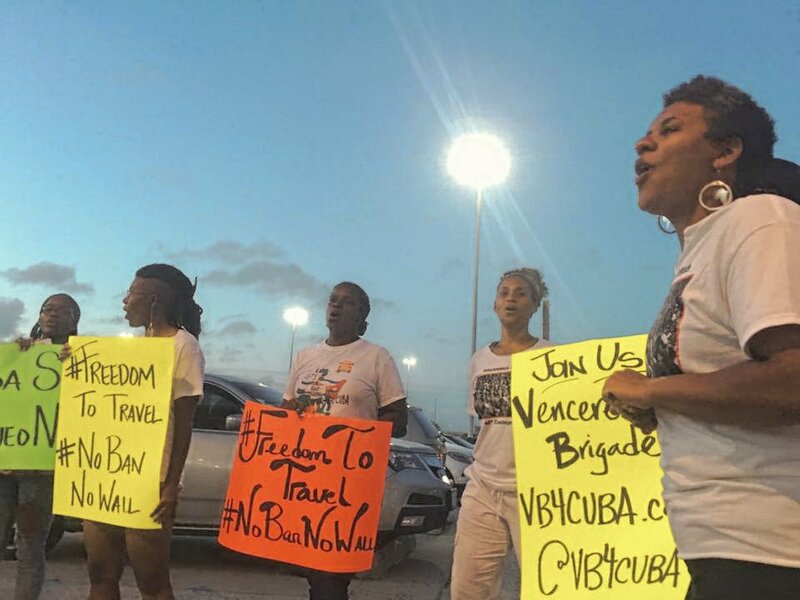 With continued and expanding attacks on progressive movements and governments across Latin America (and worldwide), and in the context of mounting threats, fear-mongering, and hostility in the U.S. government’s stance toward Cuba specifically, political and ethical travel to Cuba has become, in and of itself, a challenge. 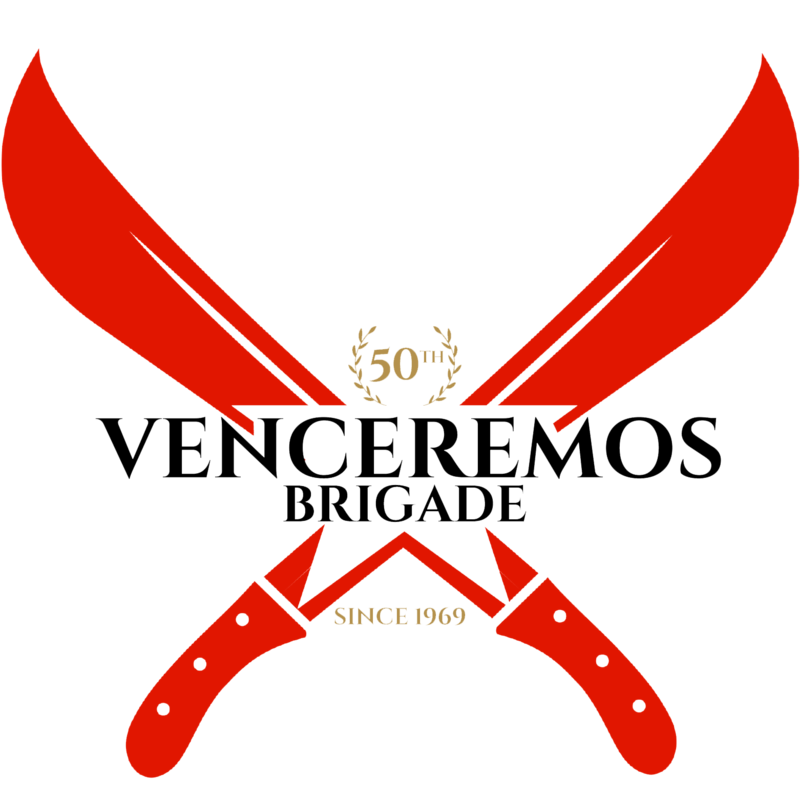 At this critical moment, the VB and our Cuban partners have decided that our political objective – of building the strongest possible contingent to engage in a project that is about the survival of the Cuban Revolution – is best served with new tactics. And therefore, this year the brigade will be taking advantage of the General License for People-to-People Educational Exchange. 2. The VB’s program in Cuba, of solidarity work, educational exchanges, and political activities, is not changing. We will still have 4 trip options (see below), but they will all travel directly between the US and Cuba. Please note that now all trip options are open to all applicants, and the 5-day trip includes an option for hotel accommodation, reserved for people who identify as seniors or elders, people with disabilities, and their care providers; all others traveling on the 5-day trip will stay with the larger group at the International Camp. 3. Due to these changes, the application deadline has been extended to April 10th, with application fee ($100) and deposit ($500) due no later than May 1st. The final payment for accepted brigadistas is due no later than June 1st. Partial financial assistance is available and is applied to the final payment. We are more than half way to our goal of 300 people for the 50th and expect to sell out. We encourage folks to APPLY now to secure your spot. If you have questions about these changes, please email vbrigade@gmail.com. OPTION 1A: 5 days (Havana area and neighboring provinces only, July 28-August 1) – cost TBD *accommodations at camp; full brigade program in Havana and nearby provinces.